A fire outbreak has killed a pregnant woman and her two children at Umuoffor area Okija in Ihiala local government area of Anambra state. It was gathered that the victims were trapped in the inferno and burnt beyond recognition, leaving many tears and sorrow. State Police PRO, Haruna Mohammed, a Superintendent of Police, who confirmed the incident, said that the cause of the fire has not been ascertained. “There was a fire incident at Umuoffor village, Okija, at the residence of one Maxwell Okeke. As a result his pregnant wife named Nwazuru Okeke, ‘f’, two children namely Chidi Ebube Okeke aged two years and Makuo Chukwu Okeke, ‘m’, aged one year, were trapped in the inferno and burnt beyond recognition,” he said. 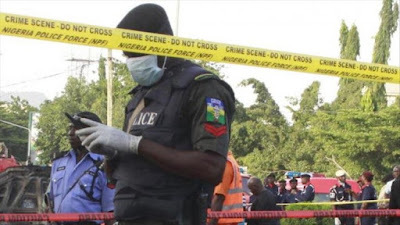 Mohammed said that the Commissioner of Police, Rabiu Ladodo, has ordered a full scale investigation to ascertain circumstances surrounding the incident.